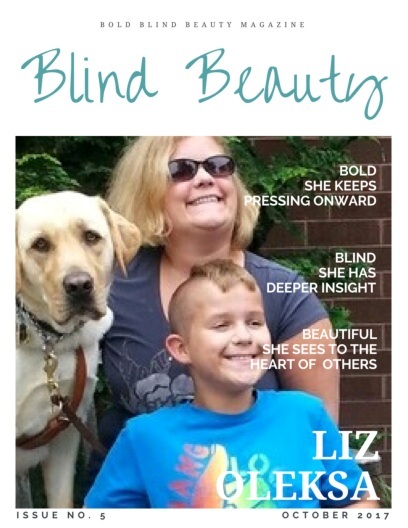 The image is a mock magazine cover titled Blind Beauty. Susan is on the cover smiling for the camera in bright sunlight. 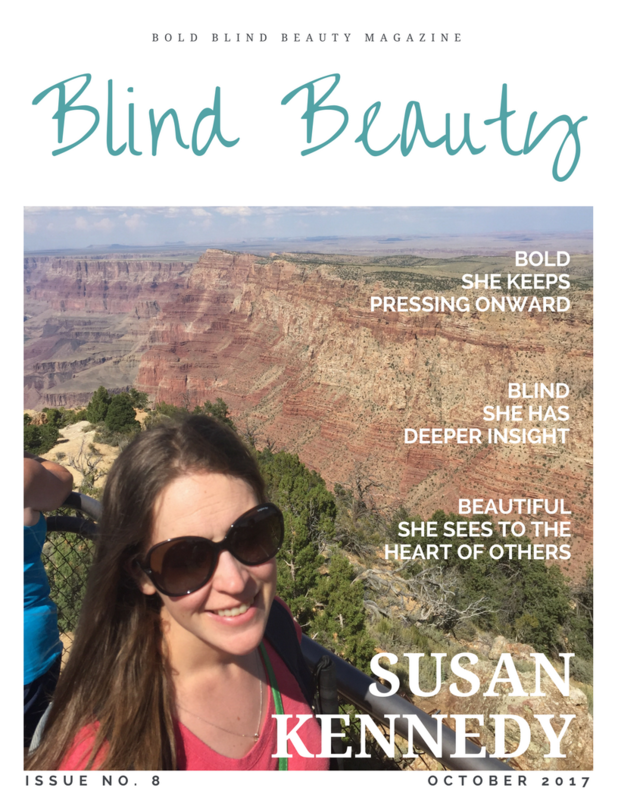 She is wearing stylish oversized shades while sightseeing at a lookout point at the Grand Canyon. 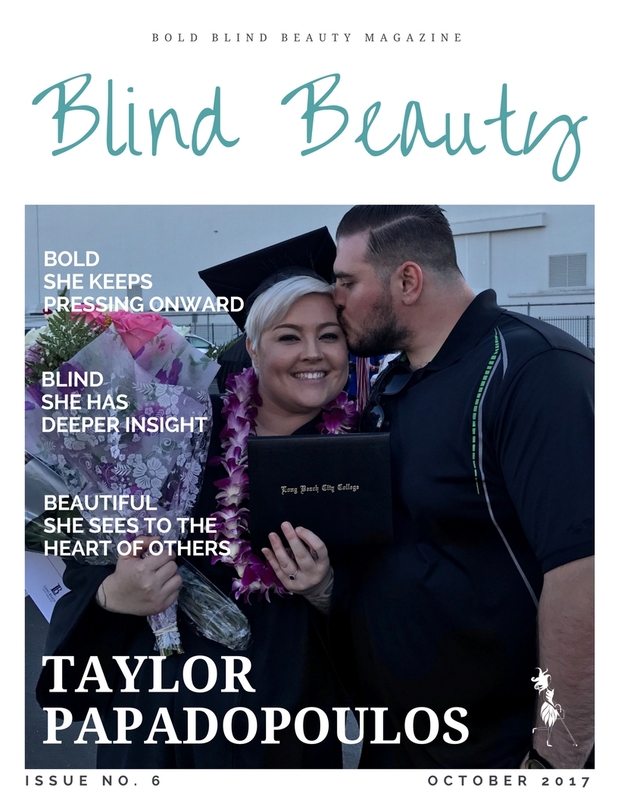 Description: Featured image is a mock magazine cover titled Blind Beauty. 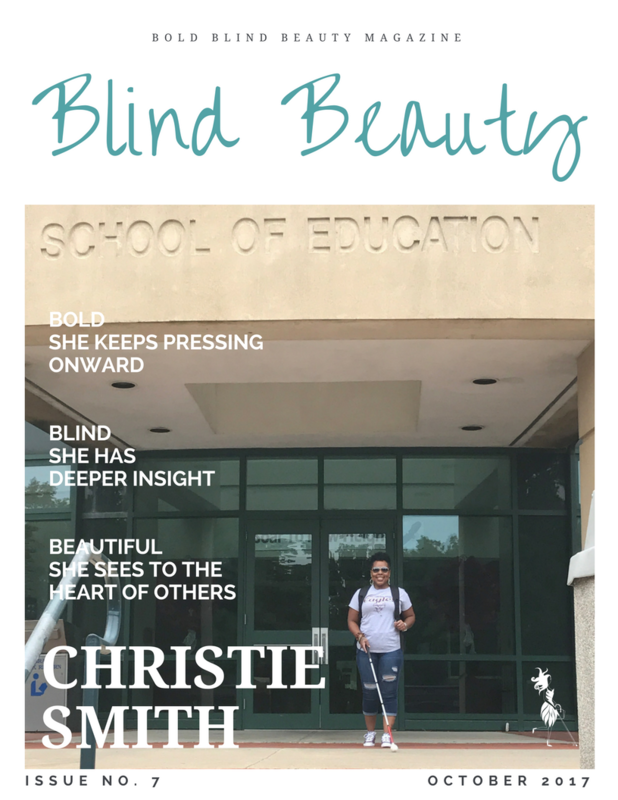 Christie is on the cover standing with her white cane in hand in front of the School of Education. She is casually dressed in blue jeans and a white tee with a black backpack.